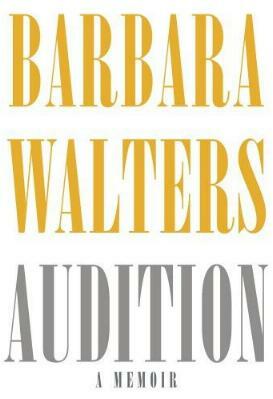 The much anticipated memoirs of Barbara Walters is here! And what a furore it's stirred up! It seems as through Ms. Walters is someone we all know, but then again, not. She's been on the air for decades, whether as the first female nightly news co-anchor or on the Today Show, on The View, or on 20/20. Then there's the Barbara Walters Special shows. From all this exposure and watching her interview countless well known people from anywhere and everywhere, it would appear that much is known of her own life too. Not so it turns out. Ms. Walters has managed to keep a lid on her private life as best she can. This book of hers exposes her personal stories, many of which will surprise her readers and viewers. For example, her only sister was mentally challenged, Ms. Walters had an affair with a married man, her father tried to commit suicide, her daughter had a spell taking drugs, etc. We also learn of her early life in Massachusetts, how her family came to this country, her father starting The Latin Quarter nightclubs in New York and Maimi, her father's tumultuous business life, and her early career at NBC as a writer. I enjoyed reading about her father's showbiz career back in the day. She also relates the many famous people she came into contact with, her breakthrough in the world of television which was then dominated by men, the men she dated and/or married, her miscarriages, her adopted daughter, and so much more. Interestingly, Ms. Walters hitched her wagon to the media train when women were barely considered for "lead" roles, especially on television, and her battles will remind female Baby Boomers of the struggle to be recognized as women in the world. Some of the legendary people Barbara Walters has interviewed include: Judy Garland; Anwar Sadat; Princess Grace; Barbra Streisand; Fidel Castro; the Shah of Iran; John Wayne; Qaddafi, Claus von Bülow; the Menendez brothers; Cher; Oprah; Tom Cruise - the list is almost endless. There are also bits about Star Jones and her weightloss secret as well as Rosie O'Donnell and others on The View. I thoroughly enjoyed Ms. Walters on The Oprah Show - she's eloquent, elegant, and she's aged exquisitely. Conclusion - The book won't disappoint Walters' fans. Very interesting, and I really couldn't put it down. Beautifully written, classy, and admirable, hence my three stars!